Samford offers a diverse variety of loan options for undergraduate students and their families. 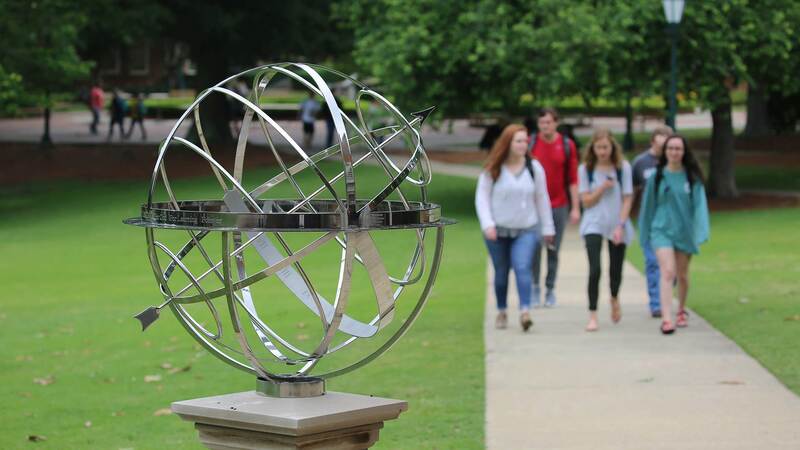 Samford University offers a diverse portfolio of loan options to its undergraduate students and families. The most frequently used loan for undergraduates is the Federal Stafford Loan. We also offer Parent PLUS, Perkins, Private, and Institutional Loans. Students are notified in their award letter how to request their loan funds. Instructions can also be found in the student web portal. In order to understand more about loan options and other information regarding student loans, please access this useful site. 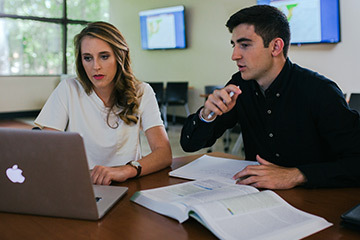 Before you start the process of borrowing for education, Samford encourages you to research and take advantage of any and all available scholarship, grant, and work-study options. Compare all loan options for the best interest rates, lowest loan fees, and most extensive borrower benefits. The Federal Direct Loan Program starts with the Free Application for Federal Student Aid (FAFSA). A student must have a FAFSA submitted in order for Samford to offer a Stafford Loan, a Parent PLUS Loan for undergraduates, or a Grad PLUS loan for graduate and professional students. Eligibility requirements, fees, interest rates, and other specifics differ with each of these loans. A student must submit a completed FAFSA to Samford in order to access funding through a Stafford Loan. Stafford loan amounts range from $5,500 per year for freshmen to $7,500 per year for seniors. Another $4,000 - $5,000 may be added if the student is deemed independent. FAFSA results will determine a student’s dependency status. There are two types of Stafford Loans: Subsidized and Unsubsidized. Both loans have a six month grace period where repayment does not begin until six months after the student graduates or ceases to be enrolled in at least six hours. The Subsidized loan does not accrue any interest while the student is enrolled in at least six hours. This loan is awarded based on need as determined by the FAFSA. If you are borrowing a Subsidized Stafford Loan, please review the information concerning maximum time frames for earning your degree and how that interacts with loan eligibility. The Unsubsidized Stafford Loan is available to any student who files a FAFSA and is enrolled in at least six hours. This loan is not need based and it requires the borrower to pay a quarterly interest payment. When you receive a Stafford Loan for the first time, you must complete Entrance Counseling and a Master Promissory Note (MPN). The MPN is a legal document in which you promise to repay your loan and any accrued interest and fees to the US Department of Education. It also explains the terms and conditions of your loan. In most cases, one MPN can be used for Stafford Loans that you receive over several years of study. First time borrowers may complete the MPN and Entrance Counseling requirements online at www.studentloans.gov. You will need a FAFSA ID to access this website. For additional information concerning both Stafford Loans please visit the US Department of Education’s website on Stafford Loans. Students are notified in their award letter as to how to request their loan funds. Instructions can also be found in the student web portal. The Parent Loan for Undergraduate Students (PLUS) is available to parents with acceptable credit and whose information was included on the student’s FAFSA. These loans are typically used to close the gap between net costs after all other aid has been paid to a student’s account and what a student and/or their family can pay out of pocket. The maximum amount available cannot exceed the student’s cost of attendance and may be limited by the potential borrower’s credit rating. For additional information concerning the PLUS Loan, please visit the US Department of Education’s website on Parent PLUS Loans. Families are notified in their student’s award letter as to how to request their loan funds. Instructions may also be found in the student web portal. Another financing option available is the Private Education Loan (private loan). These are loans made by national, regional, and local lending institutions who exist to assist you in affording your college education. Many of these lenders are well known and you may already be utilizing one of them for your personal banking needs. The loan products offered by these lenders vary. Therefore, we encourage you to thoroughly explore all options related to private loans and compare them to federal loans. Samford provides two options for loan comparison. One is provided by a company called Credible and the other is provided by a company called Elm. Credible acts like a Kayak of students loans. You will be able to compare interest rates for loans designed specifically for the borrower and then apply for the loan that best meets the needs of the borrower. Elm is a historical listing of loan providers who have served our students in recent history. Borrowers will have the opportunity to compare loan options for the lenders included in this historical listing. More additional information, please contact your One Stop advisor.